In recent months, bundled services packages have become a real trend with companies looking to increase users and subscribers. Paying one monthly fee rather than several across different platforms, is not only convenient for the consumer, but can also allow brands to introduce products to a new, untapped audience. Brands are becoming more likely to partner with other companies to offer bundled services to grow their audiences, establish new revenue streams, as well as gauge consumer interest in a particular product. 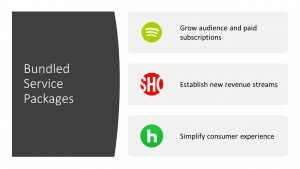 Hulu is a great example of how bundled packages can impact the customer journey and brand visibility. Over the last year, we’ve seen Hulu partner with companies that a first glance may seem like competitors fighting for the attention of the same audience. If you look deeper, you’ll find that bundled packages work best with companies who have similar audiences with services that offer complimentary content. Hulu’s partnerships with Sprint and Spotify have helped to increase subscribers and establish brand loyalty. Hulu’s partnership with Spotify has paid off for both services by offering a special bundled package for students. The companies teamed up with Showtime to offer a deeply discounted price for all three services to those still in school. At $4.99 per month – that’s practically a steal for students dining on Top Ramen noodles every other night. Aiming special bundled packaged deals at students helps to cement brand loyalty and encourages long-term relationships with subscribers/users, even after graduation. After students graduate, they typically become loyal to whatever subscription used in college. During the third quarter, Spotify added 25 million paid customers. Thanks in part to the bundled Family and Student plans, the streaming service acquired 87 million premium subscribers in total, which is up 5% from 83 million in Q2 2018 and up 40% from 62 million in Q2 2017. After ten years on the market, this is the first time Spotify has come close to posting a profit. 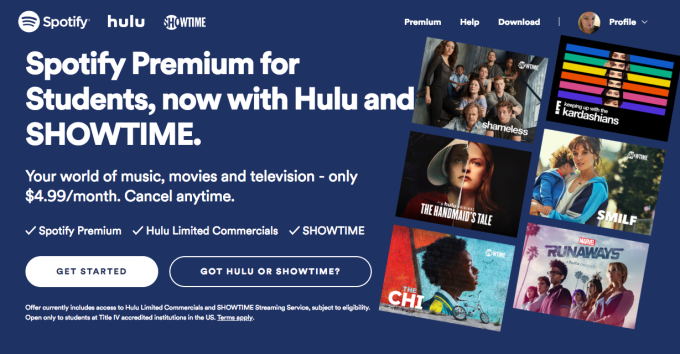 Outside of Hulu, the Spotify bundle could also potentially help accelerate growth for Showtime. Although, HBO is currently the leading premium channel, with the Spotify bundle, Showtime now costs half of what HBO would normally cost for students. Don’t be surprised if this isn’t the last bundle deal you hear about. The New York Times and Scribd, a company that offers unlimited access to books and audiobooks, announced a package deal to new readers that includes access to Scribd’s library and basic digital access to the influential newspaper. By partnering, instead of acquiring or competing, companies offering bundled packages open new revenue streams while also breaking down pay walls and barriers that can be created by the confusion of having too many apps and subscriptions to manage. With the increasing number of apps and more consumers getting comfortable with paying a monthly fee for services, more companies are partnering to simplify the user experience. 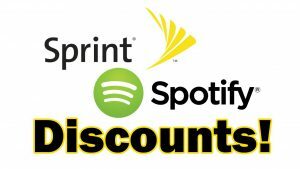 Do you currently pay for any bundled service packages? What was your incentive to subscribe? What brands or companies do you predict will partner in the future to offer bundled service packages? Glad I know about this. Thanks.